This month UGA Costa Rica has the pleasure of hosting a group of Japanese students and professors from Kyushu University. Their three-week program will focus on sustainability and English language immersion. The students have already had the chance to tour our campus and get an in-depth understanding of the many projects happening here with talks by our moth researcher Philip Barnette and our water quality researcher Kelli Williams. 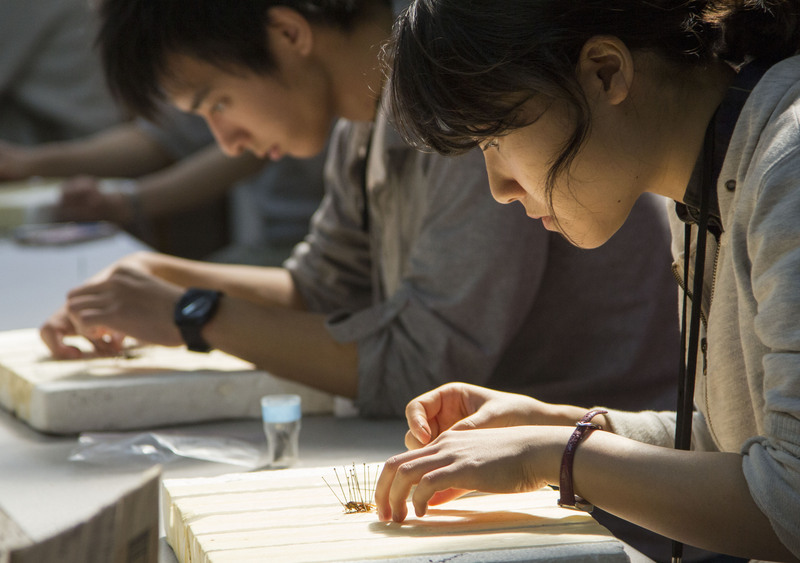 In one of the more hands-on activities, students captured insects around campus and learned how to pin and preserve them. One of our resident naturalists, Jamie Alfieri, led the group in this activity. It is one of many chances the students have to learn and interact in English. UGA Costa Rica Director Dr. Quint Newcomer teaches the group classes on sustainability. Student Rimi Yamaguchi says that through these classes she has learned a lot about connection. She now knows more about the ways plants and animals connect with each other as well as people. 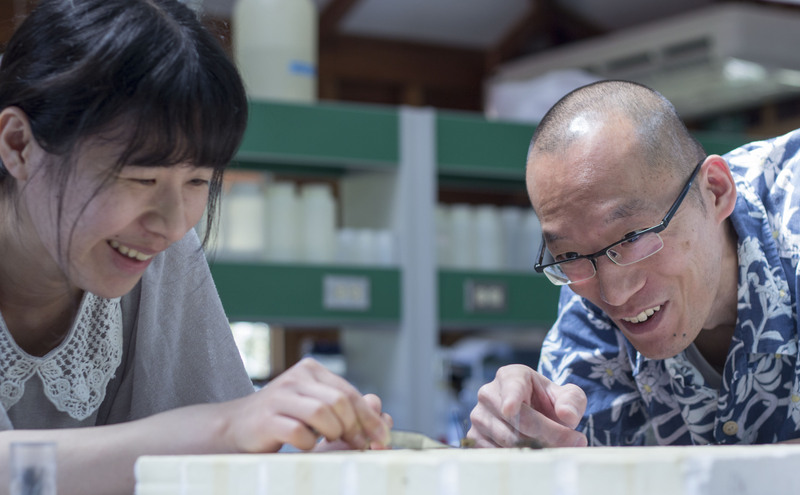 Yuka Maruyama begins the careful work of pinning a very small insect. Another aspect of the class is interacting and discussing these concepts in English. Students take turns giving presentations and leading discussions of the day’s material. Even walking around campus for a tour of the botanical gardens or a conversation in the dinning hall are opportunities to practice for these students. 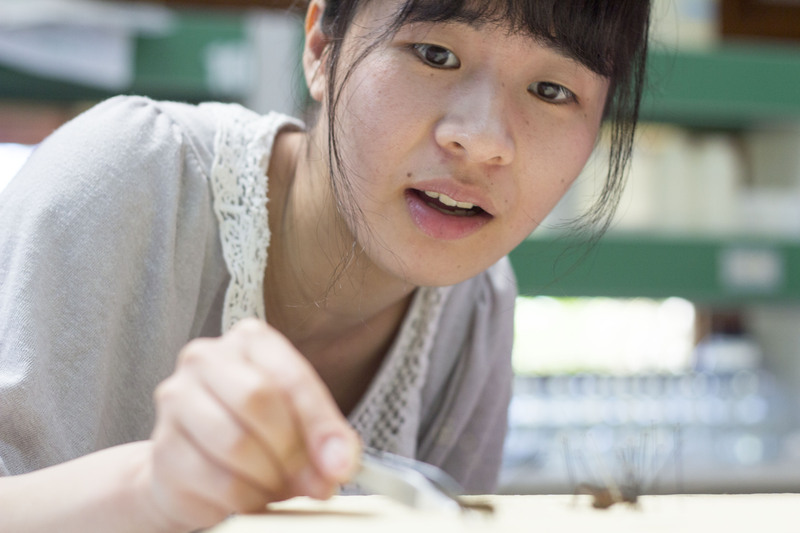 Sumika Noda watches as a student carries on with her work of pinning insects. The students have had their share of challenges as well. For some, learning to express themselves in English has been a difficult process. It has been amazing to see the progress they have made as they become more and more confident in their speaking abilities. For the insect pinning activity, one student was particularly hesitant about working with bugs. She could hardly bring herself to touch an insect. However, as the lab continued, she persevered and was able to expertly pin her insects. We can’t wait to see what else this group learns in the coming weeks! 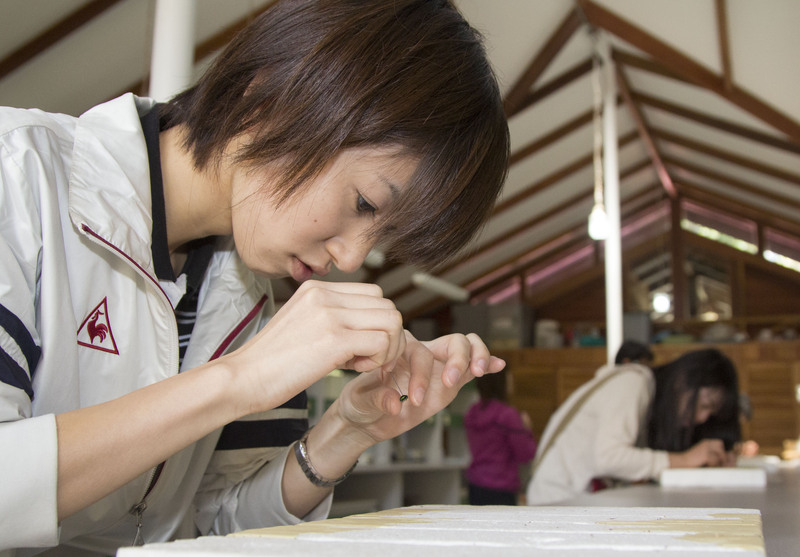 Rimi Yamaguchi uses tweezers to carefully arrange the legs of her insect.